On this sunday we had a short trip from Montréal to Ottawa in the morning. We arrived in Ottawa before noon on a sunny and hot day. 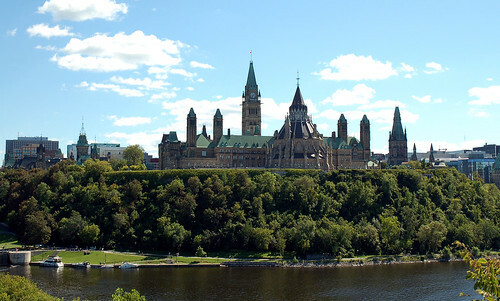 We had a very relaxing sunday in downtown Ottawa around the Parliament hill. Ottaway is great because of the near river with some waterfalls. This makes it nice to walk along the waterside and enjoy a day or two.